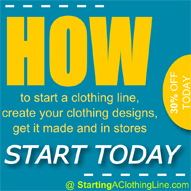 Defining your clothing line is a very important step for your brand. It is often a step missed by new designers! Have you ever wondered what makes a consumer feel a certain way when wearing a certain brand? What is it about one fashion clothing line that differentiates from another? Why do people look at Gucci, Prada and Marc Jacobs as something of great value without question? The answer is very simple. Those particular clothing companies among others have been successful at defining their fashion brands as something of great value in the mind of the consumers. That happens to be a very important step which is unfortunately missed by most to all new fashion designing entrepreneurs. In a hasty race to get their clothing lines off the ground and their fashion designs in front of the public’s eye. They miss this very important step altogether, ultimately that mistake has a negative effect on the brand down the line; the consequence that I am referring to is the lack of consumer understanding to the meaning of your brand. Without proper understanding of any product there can be no real emotional attachment between the public and your merchandise. Emotions are the driving force behind the sale of any product on the market. However, before emotions can set in, understanding must first be established. For example, let’s say you are getting ready to go to an important and exciting event. You go to a retail clothing store beforehand with a moderate budget to spend on a new outfit. The sales person shows you one garment that is very nice and within your budget. Now let’s say the sales person shows you a second item that is equally as nice, but it happens to be Armani, and it too is within your budget. What would you do? I believe most of you are saying that you would buy the Armani outfit. However, some of you may still be holding out possibly thinking how shallow it is would be to feel that way. Okay, fine let me rephrase the question, which will further prove my point. Let’s say you are buying something for your significant other who is going to attend this exciting and important event among their constituents. What would you do then? I can now overwhelmingly hear the name Armani being shouted from the overall majority. Why? Well, because, it’s Armani and the Armani brand has been successfully defined in our minds to mean something of value and status in our society. That is the type of success you must be looking to develop for your clothing line. It is solely your responsibility to define your line and to dictate to the public how they should feel and think when wearing your fashion designs. This goes back to what I stated above, and that is emotions. Sales are driven by people’s emotions. Rather they are happy, sad, angry or afraid it doesn’t matter. Billions of transactions take place daily all over the world based on those emotions among others. When defining your clothing line it will be paramount for you to pick an emotion that your brand definition will represent. 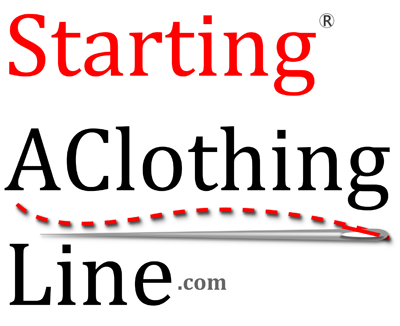 Read Part II of Defining Your Clothing Line Here. To learn how to design your own clothing, shoes and handbags – Check out Digital Fashion Pro.